Former Democratic congressman and Auditor General Don Bailey, 68, had his law license suspended for five years by the Pennsylvania Supreme Court for allegations and criticism directed at judges in the state. Bailey denounced the ruling and said that he would challenge it in federal court while denouncing the state justices as corrupt and malicious. While some would agree with the case, there is a worrisome line of cases targeting lawyers who criticize judges. Bailey has accused federal judges of malfeasance, charges found to be baseless. He said that he was targeted by several U.S. Middle District Court judges who set out to ruin his practice. 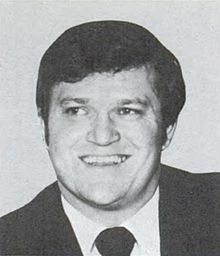 Bailey was a congressman from 1979 until 1983, when his Westmoreland County seat was eliminated through redistricting. He had a remarkable military career. He served with the 82nd and 101st Airborne Divisions in Vietnam and was awarded the Silver Star, three Bronze Stars, two with the Valor device, one for meritorious achievement, Army Commendation Medal, with “V” for Valor, Air Medal, and a second Army Commendation Medal for meritorious service. I have previously expressed concern over cases of discipline for both lawyers and laypersons criticizing judges. One troubling case is unfolding in Indiana where the Indiana Disciplinary Commission is recommending a one year suspension for Indianapolis attorney and blogger Paul K. Ogden, who criticized a judge in emails and refused to apologize for what he considered an exercise of free speech. I have long felt that one of our responsibilities as attorney is to speak out about the need for reform of our legal system. While I have broached many topics for reform in the legal system, many times on this blog, it was not until January of 2011 when I first decided to touch the third rail and publish an article on the disciplinary process. That story included my research that during the last three years when the Disciplinary Commission was headed by Donald Lundberg, 397 of the 400 published disciplinary cases had been against small firm attorneys and sole practitioners. It was just a few months after that story that the relatively new Executive Secretary of the Commission Michael Witte began filing grievances against me which ultimately resulted in the charges that were heard yesterday. I tend to favor the free speech values in such cases. In the Indiana, I fail to see how emails criticizing judges should be the basis for discipline. This is a matter of professional opinion. What do you think? WordPress has been hacked by feminists, who hate the website, A Voice For Men, and have convinced the administrators at WordPress that the site is a hate speech site, which it is not. The above post is from an article on a voice for men website, called American Family Courts, the First Amendment, and Violations of Free Speech. Interesting how free speech is even being censored here on WordPress. no comment, Jonathan? where is the passion for justice? writing about legal issues has its place. doing something to return the courts to their rightful, esteemed status is critical and of historical significance. clarity in your post is simply spectaculpar and i can assume you are an expert on this subject.